Baltimore Ravens guard Marshal Yanda vehemently denies he spit in the face of Bengals linebacker Vontaze Burfict at the end of a scrum last Sunday. OWINGS MILLS, Md. 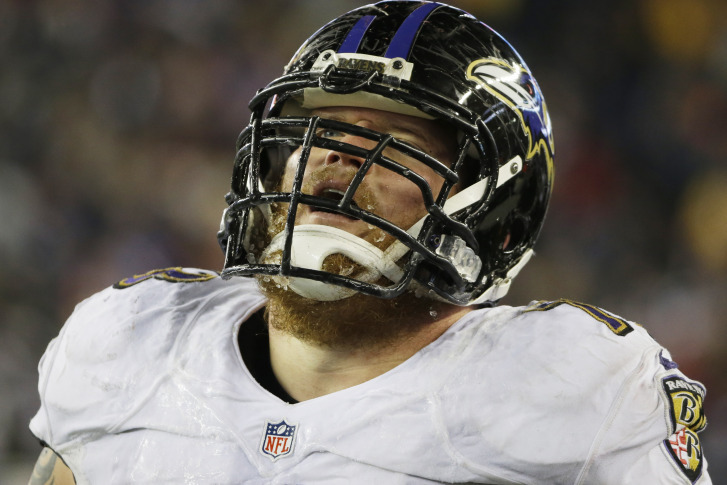 (AP) — Baltimore Ravens guard Marshal Yanda vehemently denies he spit in the face of a Bengals player at the end of a scrum last Sunday. After a video circulated this week that showed spit dropping from Yanda’s face toward prone linebacker Vontaze Burfict, some suggested the act was intentional. Yanda said Wednesday that he would never do such a thing. Now in his 12th season, Yanda is a six-time Pro Bowl lineman who never previously was put in position to defend his actions on the field.